Highly recommend it, the lake and the old city are beautiful. Great cultural scene in the summer with concerts for all music tastes, great food and still affordable. different day. Not so many has been preserved, but those, which survived till today - oh, for sure they will make you consider coming again. Archaeological finds indicate that Ohrid is one of the oldest human settlements in all of Europe. The lake itself is over three million years old. Ohrid town is first mentioned in Greek documents from 353 BCE, when it was known as Lychnidos - or, “the city of light.” Only much later, in 879 CE, was it renamed Ohrid. The name probably derives from the phrase “Oh-rid” – meaning roughly, “Oh, what a cliff!” It comes from the time when the town was limited in a small area on the lake side of the hill, which in fact is a huge cliff rising above the lakeshore. The town as we know it today was built mostly between the 7th and 19th centuries. 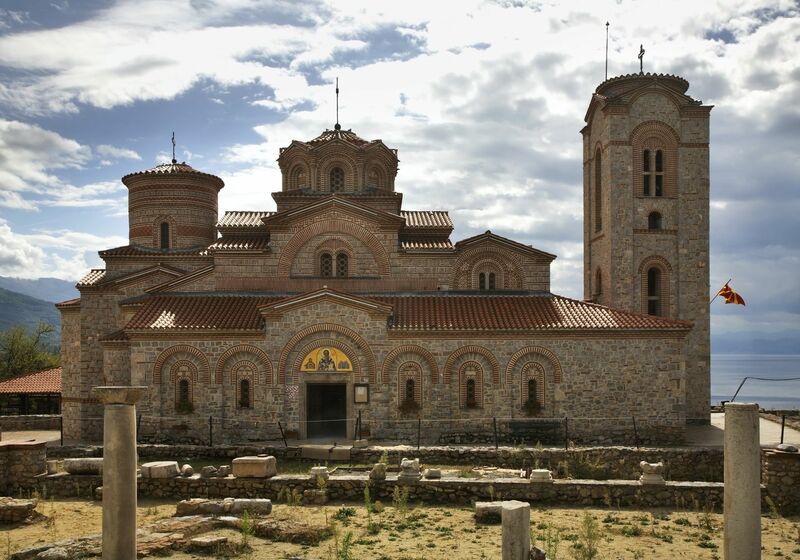 During the Byzantine period, Ohrid became a significant cultural and economic center, serving as an episcopal center of the Orthodox Church and as the site of the first Slavic university run by St. Climent and St. Naum at the end of the 9th century. At the beginning of the 11th century, Ohrid briefly became the capital of the kingdom ruled by Car Samuil, whose fortress still presides over the city today. Lake Ohrid is one of the world's oldest lakes, formed millions of years ago on the western side of the Dinaric Alps by geotectonic depressions (as were similarly ancient lakes Titicaca in Peru and Baikal in Siberia). This ancient body of water is home to the European eel, which comes to Lake Ohrid from its birthplace thousands of miles away in the Sargasso Sea. The eel lives in Lake Ohrid for 10 years, then returns to the Sargasso to spawn and die, leaving its progeny to repeat the process after birth. Lake Ohrid rightly deserves the name “Macedonia’s freshwater sea”. Not only for its warm water blue colour, which gains its intensity from the sky blue colour, but because of its size, this lake gives an impression of being a sea. With its unique flora and fauna the lake is one of the largest biological reserves in Europe. The earliest scientific studies, undertaken in the course of the 19th century, showed that, as one of the oldest lakes in the world, it has preserved primeval life - forms which no longer exist in other places or only exist as fossils. The importance of the lake was further emphasized when it was declared a World Heritage site by UNESCO in 1979 and when, in 2010, NASA decided to name one of Titan's lakes after Lake Ohrid. Under the mountain of Galičica there are numerous springs, some of them being strong and karst, such as the springs called Island “Ostrovo” near St. Naum Monastery (IX century) in Macedonia. They are forming the river Black Drim “Crn Drim” which flows into the lake. The Lake Ohrid flows out near Struga and forms again the river of Black Drim. Ohrid is a town of vast history and heritage and without a doubt is the jewel in Macedonia's crown. It is not only a place of historic significance, but also of outstanding natural beauty. The city is rich in picturesque houses and monuments, and tourism is predominant. Ohrid and the Ohrid lake is one of the main reasons why I love Macedonia and the Balkan so much. It is a really beautiful place, nice atmosphere and prices are low. We would spend 6 euros per night and hangout at the beach during the day or rent a sailing boat and sail on the lake. Although we couldn't find an office renting sailingboats we just went to the harbor and asked around and found a guy who was willing to rent us his boat. awesome little city on a bank of beautiful lake with clear water. See my Ohrid Region review!